Growing Old Take Longer Picture Not Greeted Card Ephemera, Inc.
Cover Reads: I Thought Growing Old Would Take Longer. 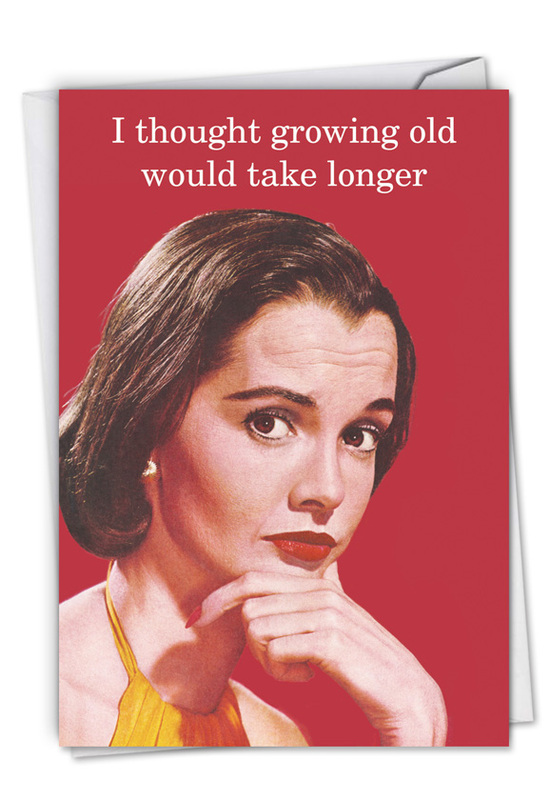 It is said that with increasing years comes wisdom, but that apparently isn't true for all of us. 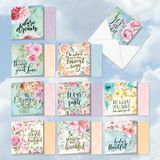 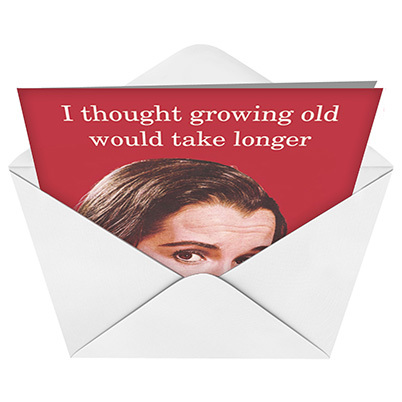 The I Thought Growing Old Would Take Longer Humor Paper Card from NobleWorks Cards is for those individuals who are still perplexed by the onward march of time. 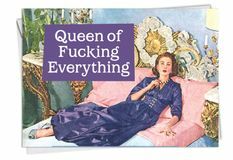 Bright red on the outside, bright orange on the inside, and featuring a confused-looking pretty woman on both sides, this hilarious, colorful card will garner more than its share of laughs and good cheer regardless the age of the recipient.